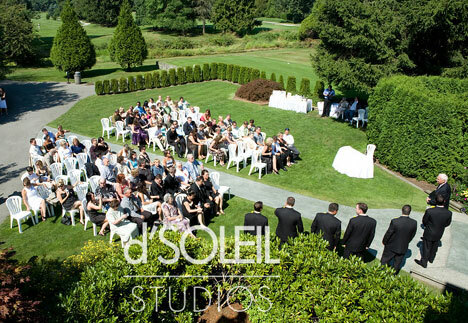 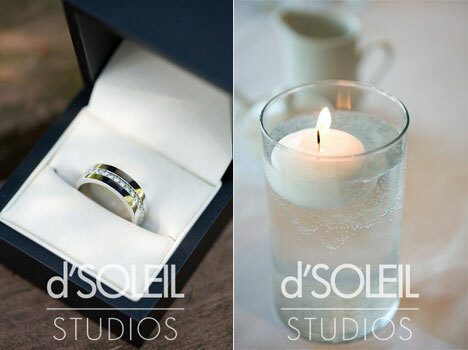 The Fantastic Photographer: Daniel Ha, D'Soleil Studios, in Vancouver. 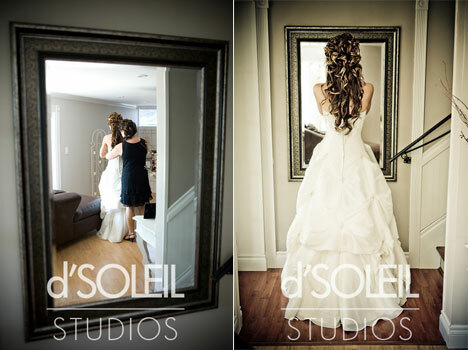 Many many thanks for submitting this great wedding. 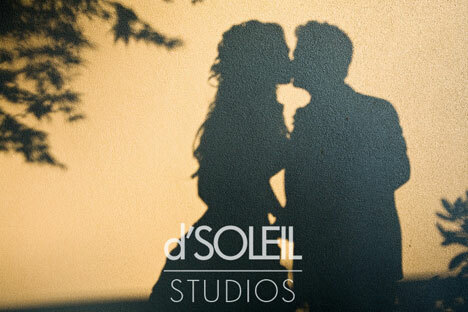 We 're closing 2008 with a bang. 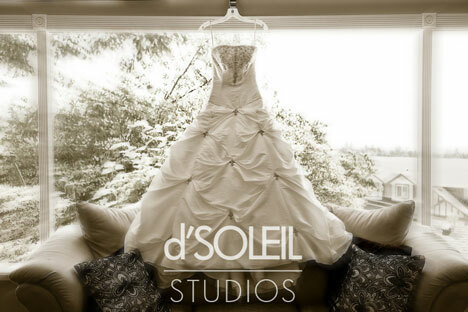 A great couple, a super location and a whole lot of stylish and creative wedding ideas. 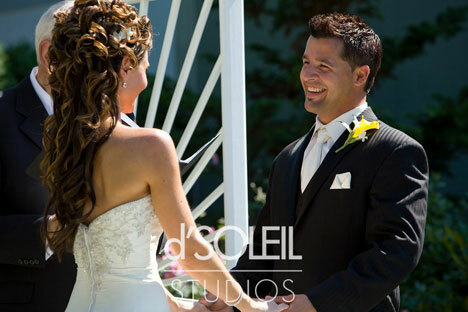 Moreover, by virtue of this being our last "real wedding" of 2008, indeed our very last blog entry for this season, we hereby declare Jacci & Ryan our Canadian Couple of the Year for 2008 :-) See you all in 2009! 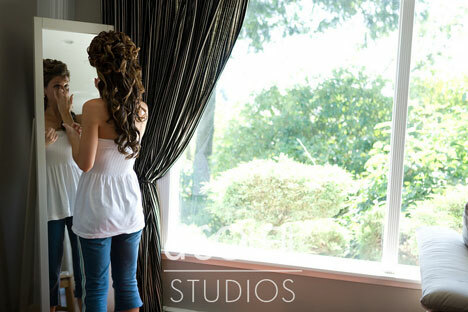 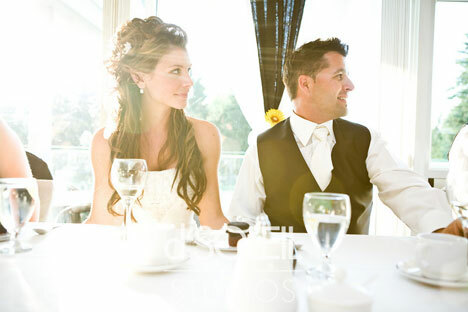 Jacci and Ryan are a fun-loving couple from Mission, BC. 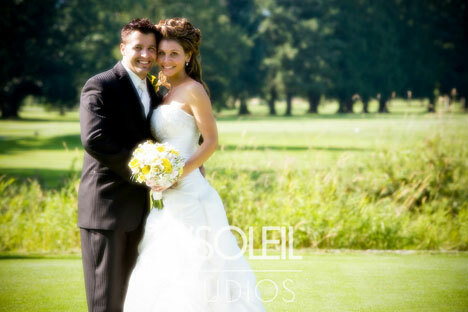 Their wedding took place at Pitt Meadows Golf course on August 16, 2008, one of the hottest days of 2008, with near record-breaking heat. 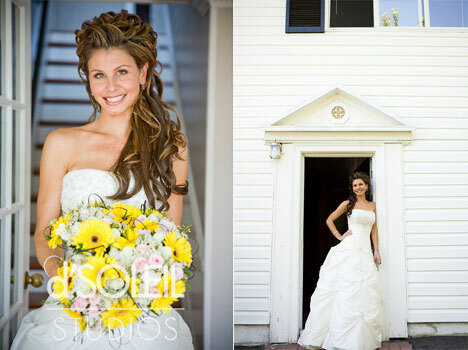 Jacci and Ryan met each other while working at a local club and had been dating for some time before deciding to tie the knot. 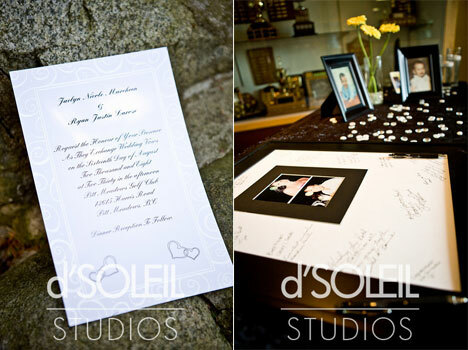 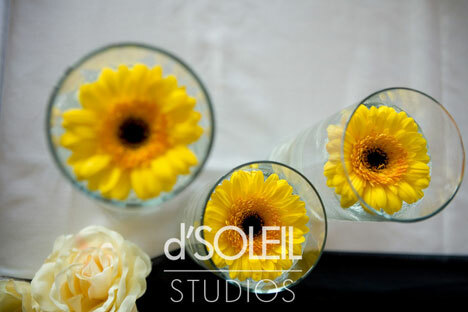 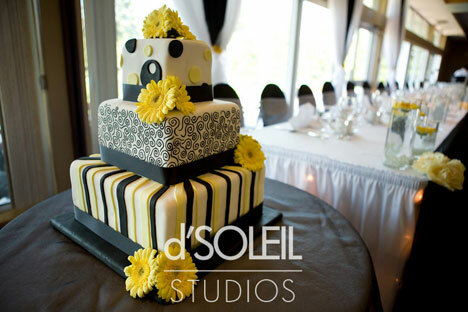 Jacci incorporated the colors black and yellow into her reception décor and used daisies as floral highlights. 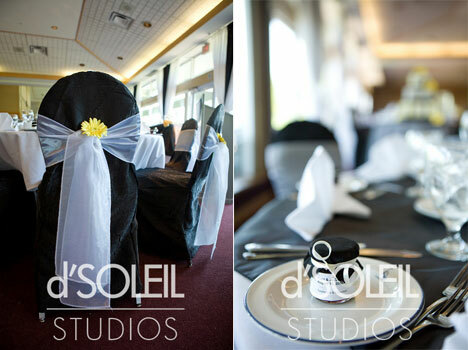 Guest were treated to an exquisite buffet dinner at the golf course and due to the immense heat of the day, much of the formal wedding photography took place after dinner and just before sunset.